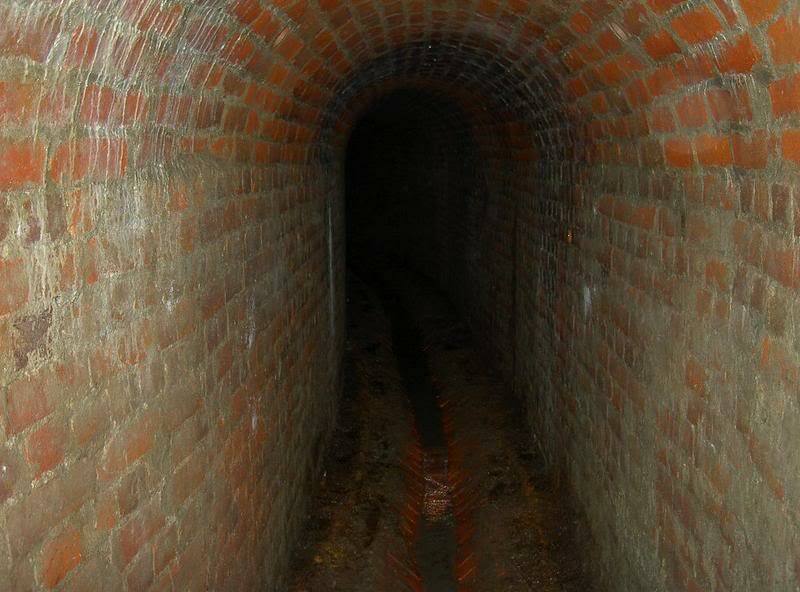 Ok so we managed to get a big group together for sundays trek into a tunnel in Shanklin, thanks to a mate for letting us know. You can see how muddy it is in this pic. At the end of the tunnel, my addition of candles. 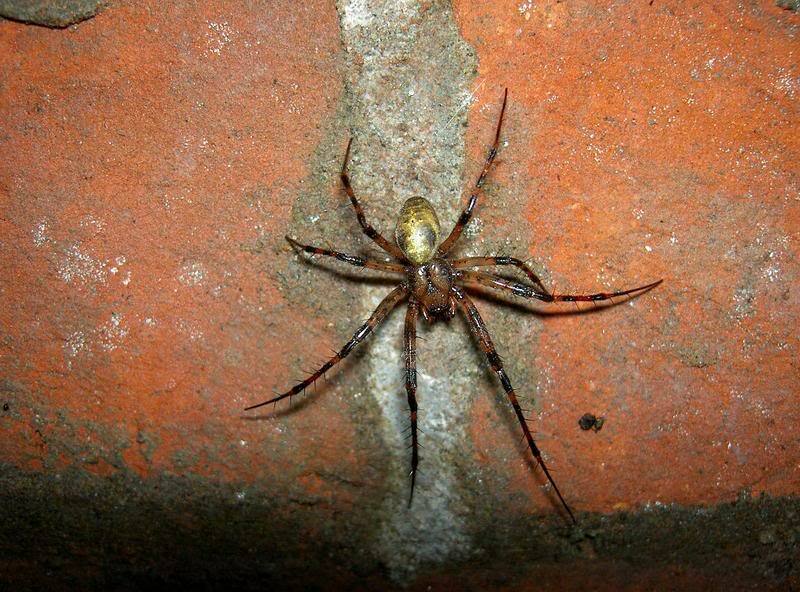 Didnt turn out how Id have liked, but then I only had a pocket camera. The lads, stepping into a wider part, there were a few of these. 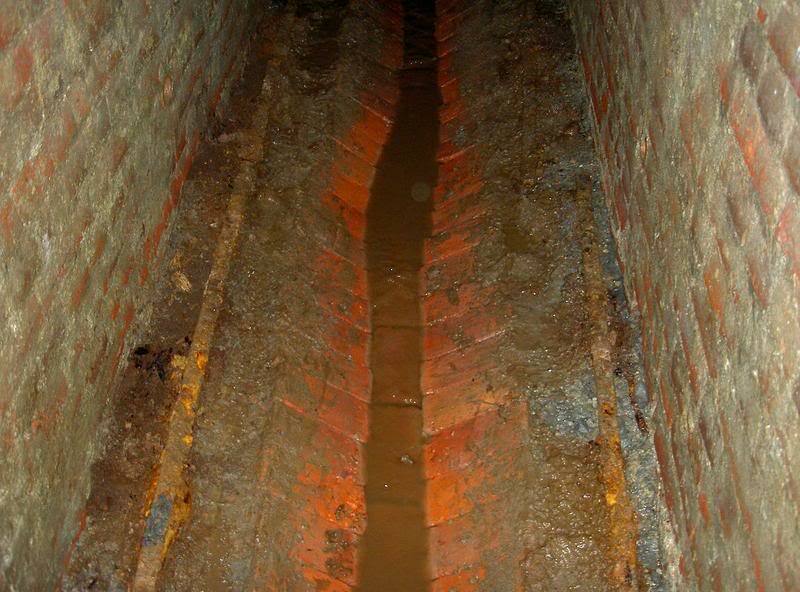 Since it was built, it has been used as a drainage system, this flow went underground into pipes towards the entrance. Closer shot, showing the old tracks, used for what, I dont know...?? This was at the end, a bit of the celing has collapsed, but funnily, the brickwork stopped here and the tunnel carried on carved into the limestone. None of us wanted to risk climbing over, but it is big enough, but very very wet. But It went on for ages, I recon it must have been atleast 2/3 football pitches long, we just seem to walk for ages. 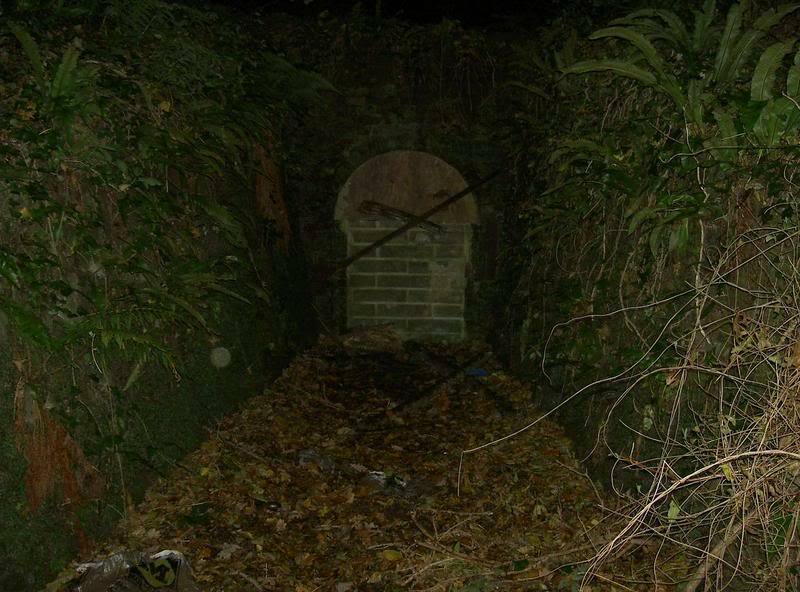 Another interesting thing is, this is in the side of a hill, in the middle of a copse, not near anything, but about 10meters away down the hill a bit, is yet another matching tunnel, but bricked up a bit more securely, and steps between the 2. Yep this islnd is full of strange stuff, that no one seems to know what it is, or what it was for. Quite simply put..They are Water Sources. Wells. Springs. The give away is that they go into the hillside directly under "the highest point" on the Island. If you go onto the Old-Maps website and type "Shanklin" into the search box you'll have a choice of old maps from 1866 onwards: you can zoom in on some but not others. The maps say that they are 'Wells' and it looks like they feed, or fed, a pair of reservoirs. So probably at some early point they were the locations of water springs weeping out of the hillside and someone (IOW Water Board if there was/is one?) 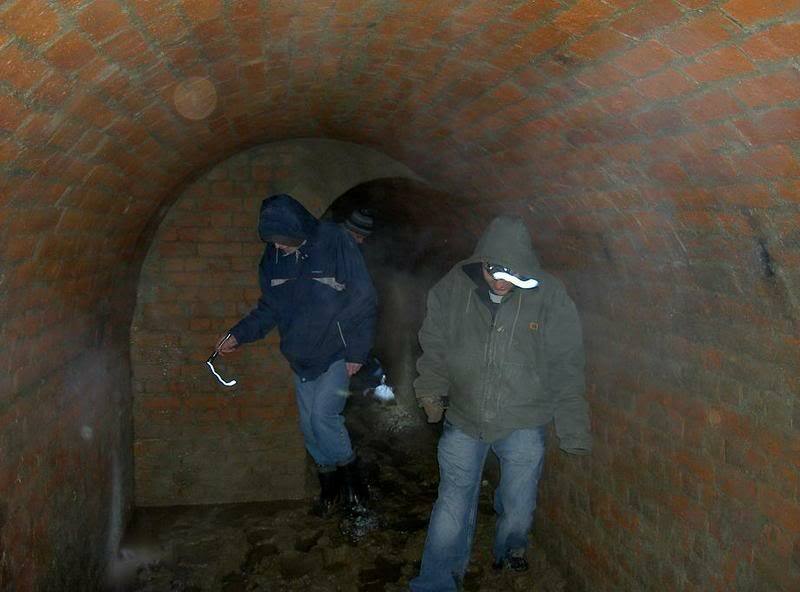 decided to utilise them as a watersource for Shanklin (possibly) and stuck the tunnels in. 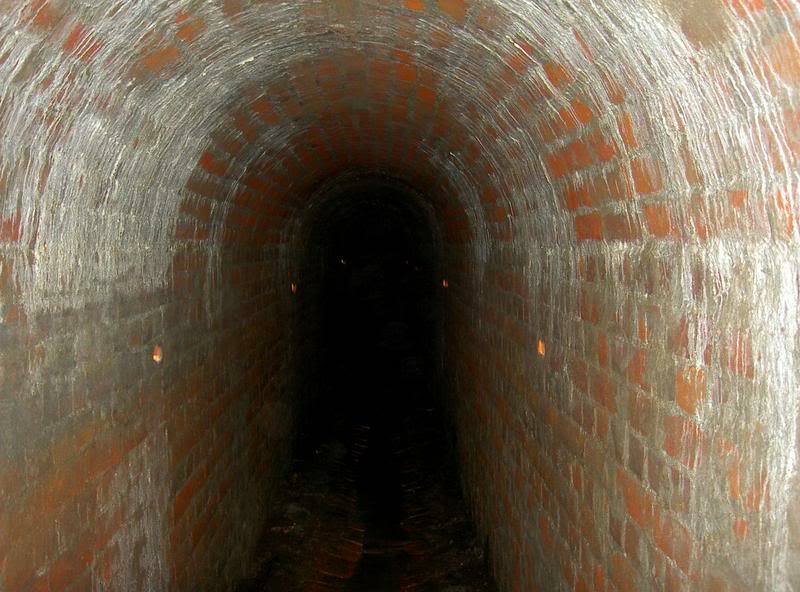 The water would have flowed down the central channel and then down into the pipes you mention onto the reservoirs. 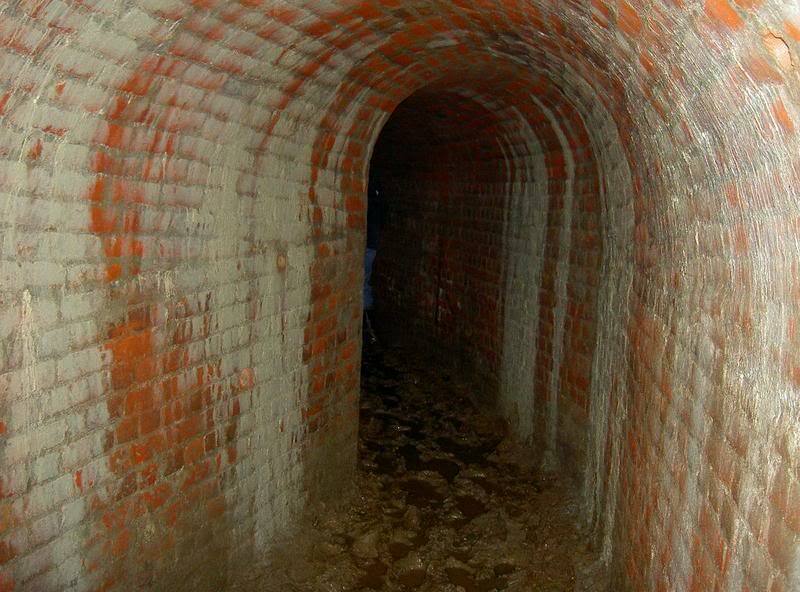 Maybe each tunnel/spring fed each reservoir. 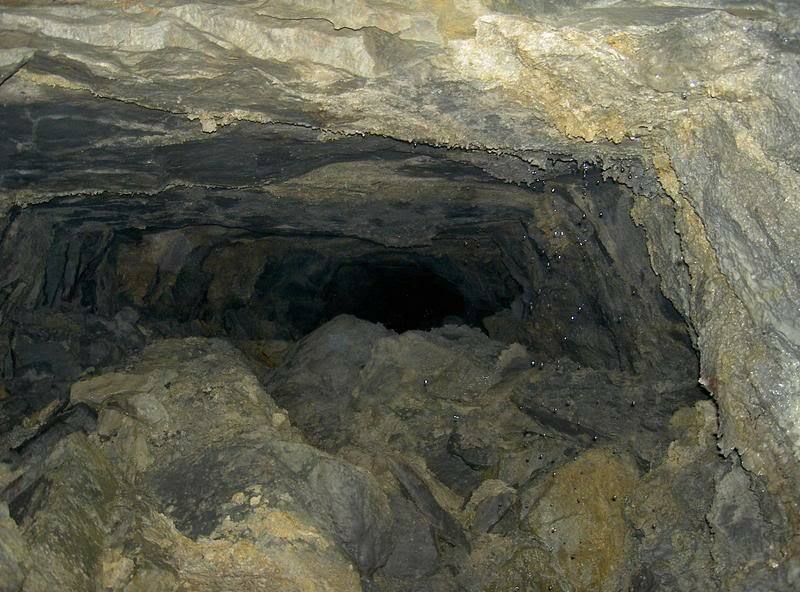 I think the rails would probably have been installed for trolleys as the tunnels advanced into the hillside to aid removal of the spoil as they dug deeper and deeper. Go into your local library and ask if they've got a 'Local Reference' section; they're usually a great source of info. Air Attack - more than just a game! This is the one we entered, the bricking up had been broken already and the hole was covered by a makeshift piece of plywood. 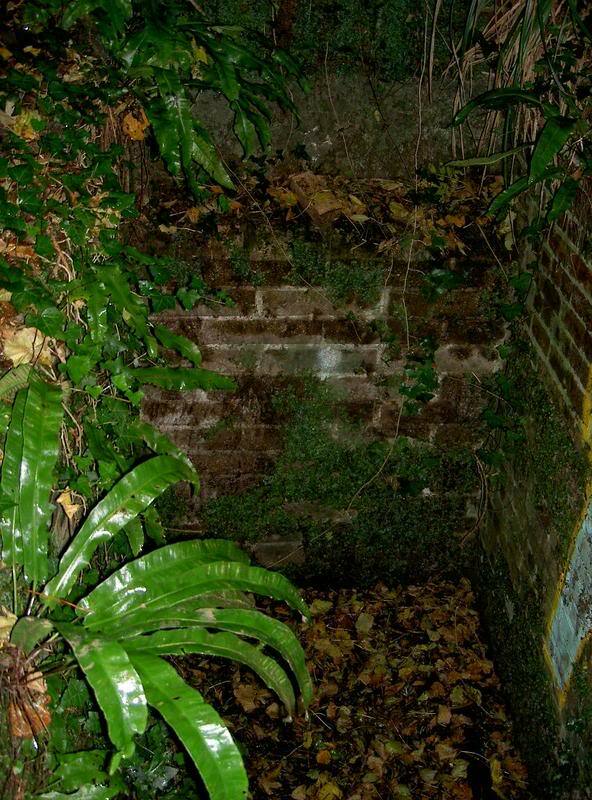 Here is the other portal, not clear I know, but bricked up, and very similar in design.